Lakeland is one of those beautiful cities where you feel close to everything, but away from it all. Conveniently located right off the main thoroughfare of the state, you can get to Orlando within 1 hour, Tampa in 45 minutes and there is a choice of beautiful coastlines less than 2 hours away. There is no shortage of easy-to-access activities, making this a particularly appealing place for families, or people who just like to keep busy. Part of the reason the city is so varied in its offerings is due to the wide span of active age groups. 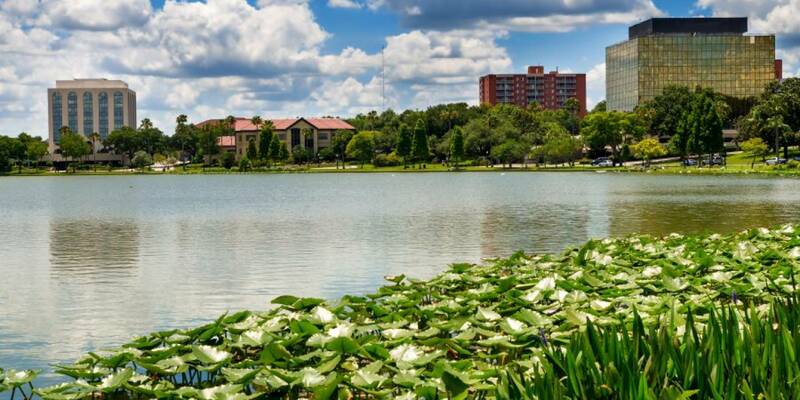 Lakeland has always been a popular place for retirees, but is also home to 3 college campuses (Florida Southern, Southeastern University, and PSC/USF). The public recreations division is quite present in the community, hosting events from swimming pool movies, to exercise classes, to new playground openings. The local Chamber of Commerce is also very active in promoting small businesses and hosts parades, seasonal art festivals, and several downtown activities including a great farmer’s market held on the first Friday and Saturday of each month. Lakeland provides a perfect balance between city-life and being close to nature. As the name would suggest, there are many lakes, and nearly all are set up for easy access by boat or pedestrian traffic. One of the most peaceful evenings you can have is sitting along the shores of Lake Morton, watching the swans. Another favorite landmark is Hollis Garden, where you will find seasonal blooms and gorgeous fountains. If you really want to escape, there are multiple preserves where you can hike trails and see native wildlife; Circle B is a favorite of the alligator enthusiasts. For children, the city doesn’t disappoint. There are several well-maintained playgrounds (Common Ground is a local favorite), a large YMCA, and sports ranging from baseball to gymnastics. Lakeland is also home to 2 A-grade schools, and a Montessori academy. There is also one of the only schools in the nation which specializes in dyslexia in children. On the weekends, there is a children’s museum, family arcade, jumping gym, escape room, and movie theatre (including an IMAX) to keep all ages occupied. Local residents have been very impressed with the recent boom in unique and upscale restaurant offerings. The downtown district has been particularly active in this, recently opening a Brazilian steakhouse, a gastropub, and a BBQ buffet. To top it all off, the city has an independent theatre, an active fine arts group, and the Lakeland Center, which hosts everything from A-list comedians to indoor sporting events. If you’re into aeronautics, you’ll be in good company as Sun ‘n Fun is hosted at Lakeland’s airport every year with a range of exciting activities and shows. Lakeland really is a great city to live and raise a family. Not many places have so many things to do, but still a friendly and relaxed culture.